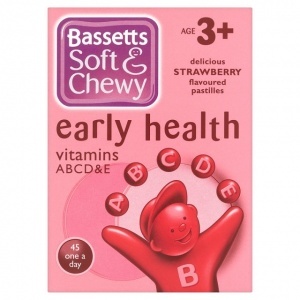 Delicious Strawberry flavoured multivitamin food supplement pastilles with sweetener. - Healthy growth and development. - Healthy bones, teeth, eyes & skin. 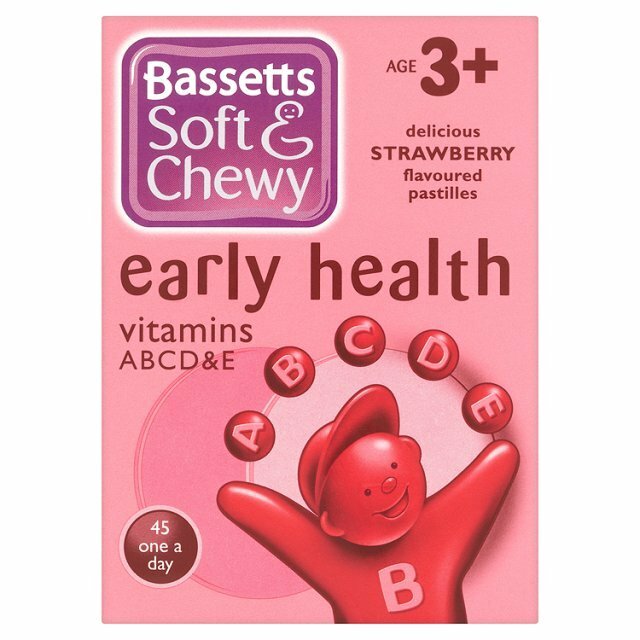 Bassetts Soft & Chewy 'Early Health' has been specifically formulated to support the nutritional needs of growing children, containing a selection of vitamins to help support their healthy growth and development. Suggested daily intake: one pastille daily.